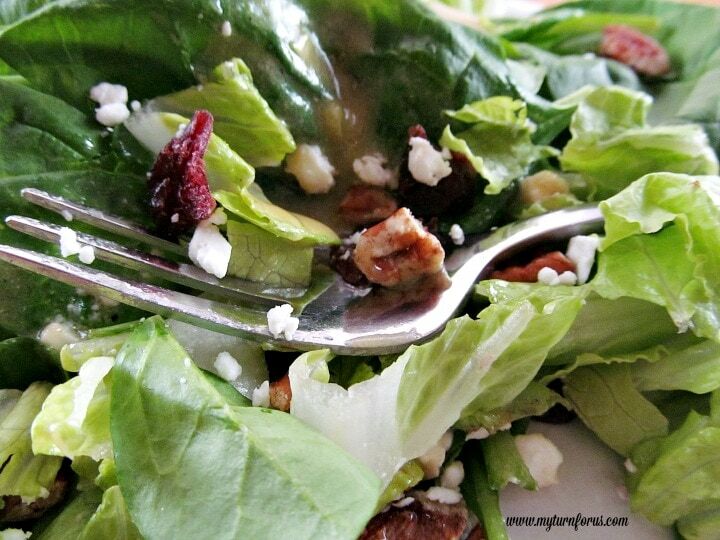 A Feta Cheese, Pecan and Cranberry Salad with a homemade classic vinaigrette dressing is the answer to a great winter or fall salad. Even though we love a classic lettuce and tomato salad, sometimes we want to shake it up a bit and add some of the seasonal flavors to the mix. Maybe even add something with a crunch other than croutons? 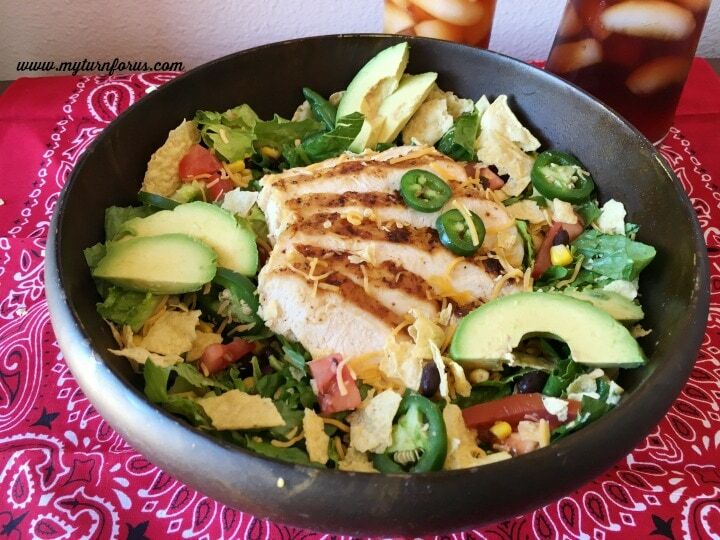 Frequently my salads are what one would call kitchen sink salads or rather everything but the kitchen sink salads. You know, where you mix “whatever” you have handy in the salad and then just add bottled salad dressing. Truth to tell, we do use bottle salad dressing frequently and I often forget how easy it is to mix a great dressing with ingredients that I already keep in my pantry. 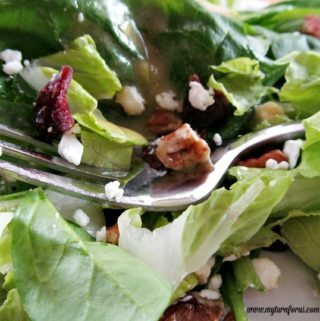 This salad is made with fresh spinach, romaine lettuce but any field greens would work very well and with the additions of feta cheese, chopped pecans, and dried cranberries it adds a taste of winter. 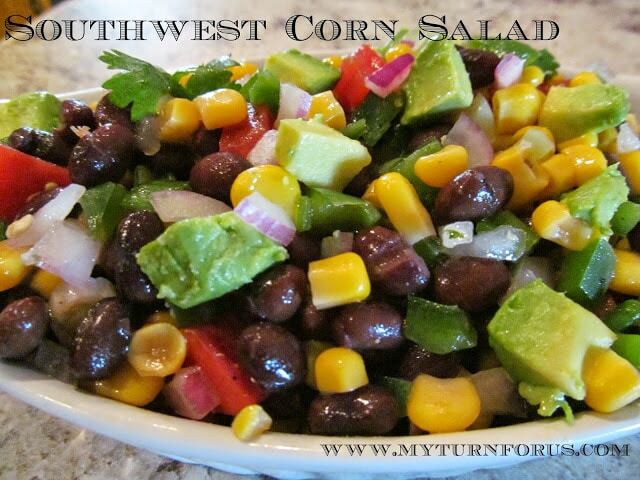 A simple dressing is made from red wine vinegar, Dijon mustard, and olive oil complements the salad very well. 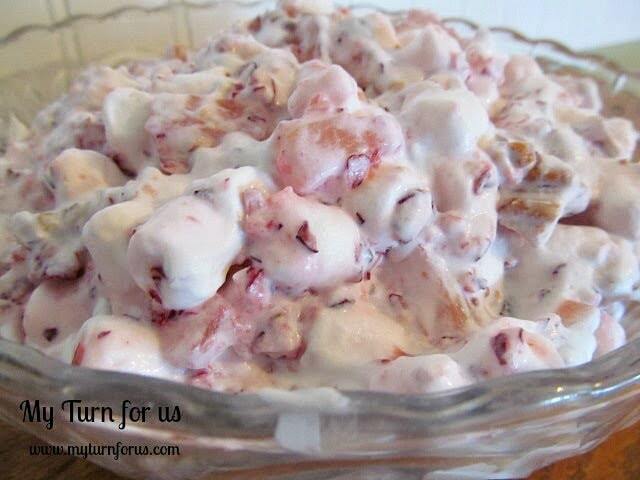 So you are looking for a salad that is different for a special meal like Thanksgiving, Christmas or just a dinner party, this is the salad for you. 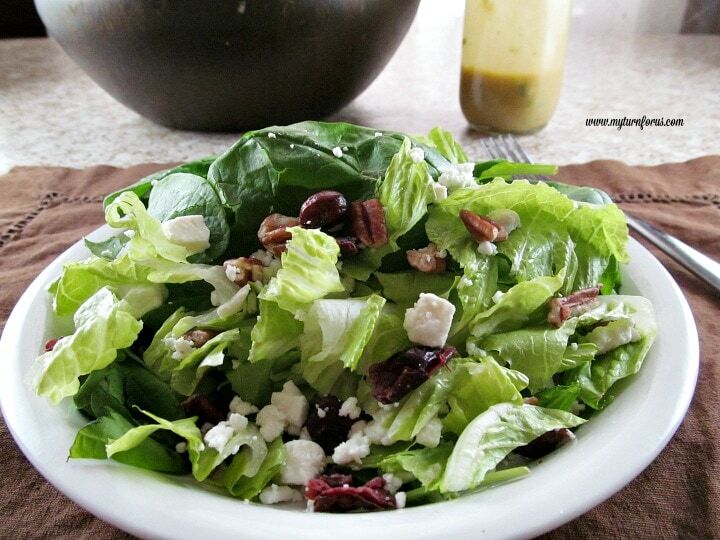 In a salad dressing shaker combine vinegar, green onions, salt, Dijon mustard, and pepper. In the process, right this sec! 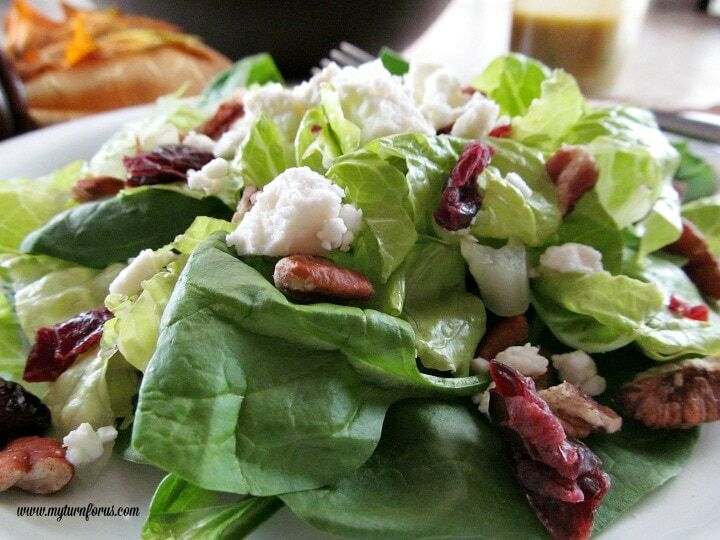 – of making the feta-pecan salad! Looks sooo good and I already had everything "in stock!" Thank you! – and pinned for later, too!